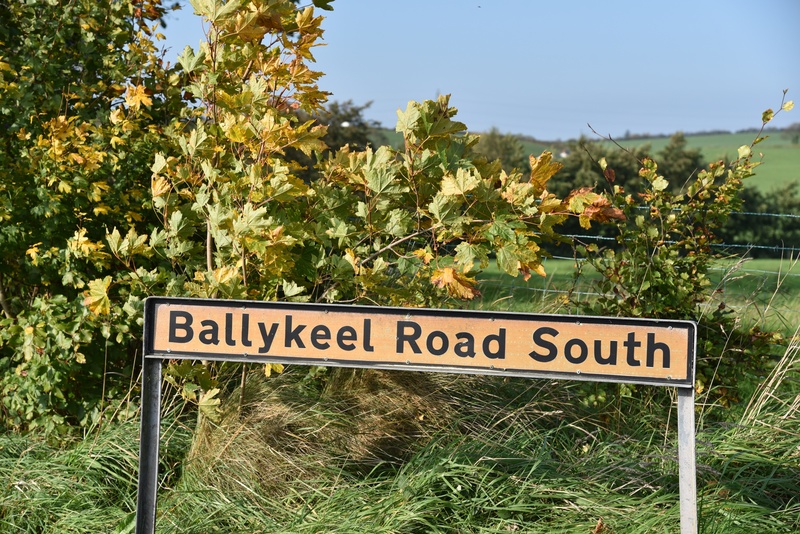 County Down has ten townlands called Ballykeel. Can you take my word for it that this road runs through the right one? This Ballykeel lies between Crossnacreevy and Moneyreagh. 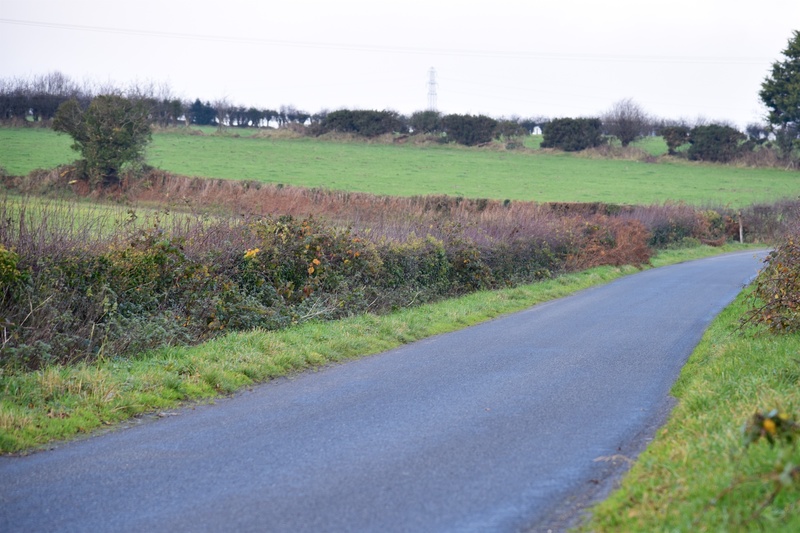 Here is the road leading from Ballykeel into the village of Moneyreagh. 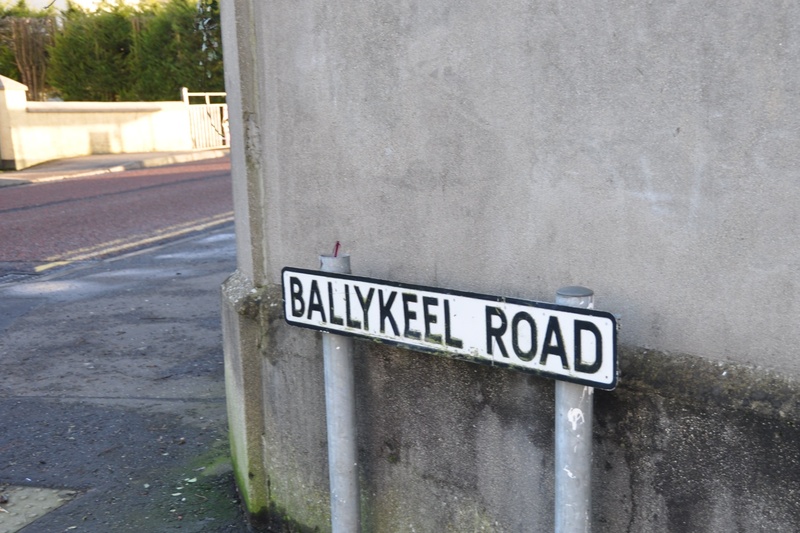 According to PLACENAMESNI.org, the name Ballykeel comes from the Irish An Baile Caol meaning ‘the narrow townland’. Looking at the map, I see nothing narrow about Ballykeel, so let’s go with their suggestion that the townland was named from a narrow farm. The roads are pretty narrow, too. 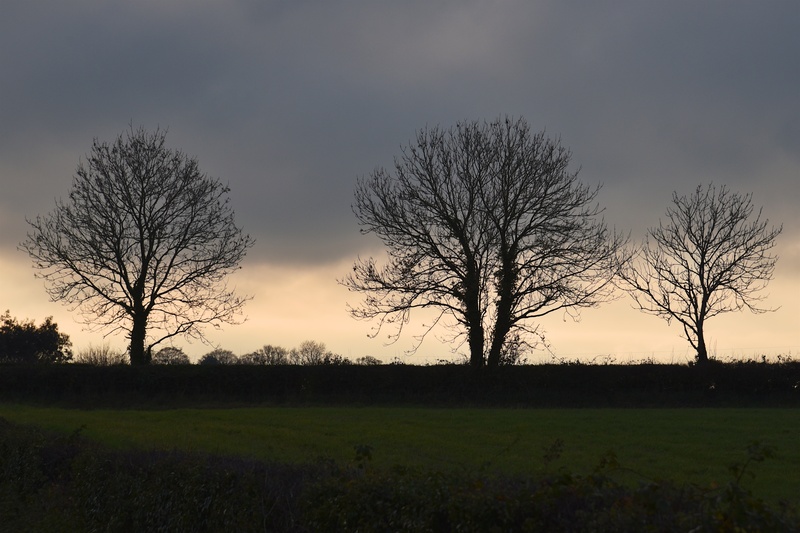 When I visited in November the trees were bare. 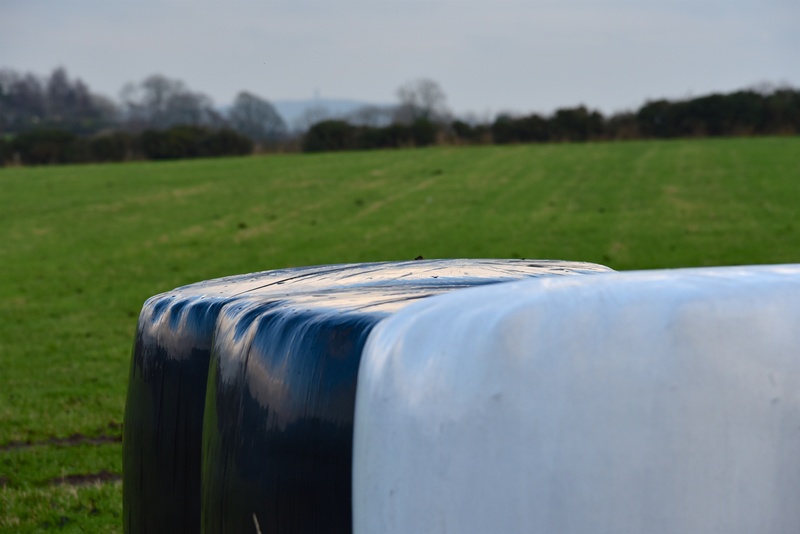 And the grass had been stored as silage in these polythene-wrapped bales. Can you see a tiny, fuzzy grey Scrabo Tower in the distance? 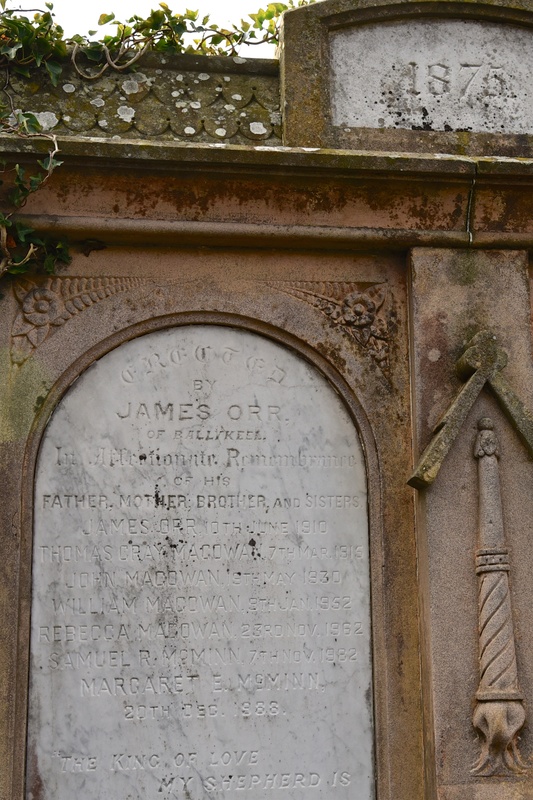 The nearest graveyard is in the village of Moneyreagh, where I found this headstone for the Orr family of Ballykeel. If you’ve been following this blog since 2016, you may remember my post from another Ballykeel, near Holywood. Which townlands border Ballykeel? To the north, Crossnacreevy. To the east, Lisleen and Moneyreagh. To the south, Monlough and Clontakelly. To the west, Lisnabreeny and Clontonakelly. Click here for a map of Ballykeel on Townlands.IE.